. "Edmonton Symphony Orchestra". 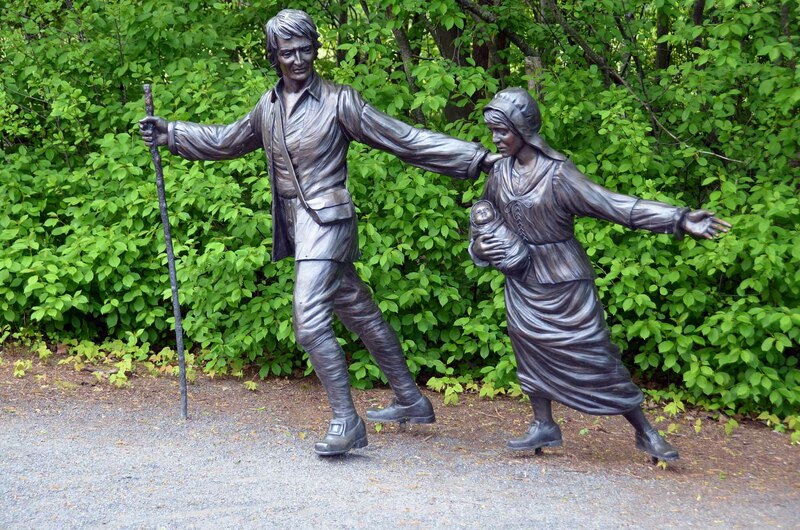 The Canadian Encyclopedia, 05 June 2018, Historica Canada. https://www.thecanadianencyclopedia.ca/en/article/edmonton-symphony-orchestra-emc. Accessed 18 April 2019. One of Canada’s major orchestras, the Edmonton Symphony Orchestra (ESO) was founded in 1952. 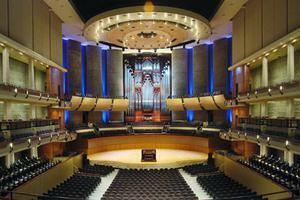 It has played at the Francis Winspear Centre for Music since 1997. 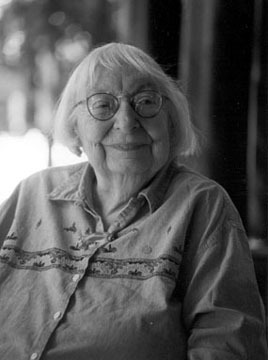 Music directors have included Lee Hepner, Thomas Rolston, Lawrence Leonard, Pierre Hétu, Uri Mayer, Grzegorz Nowak, William Eddins and Alex Prior. The orchestra has featured such soloists as Angela Cheng, Jon Kimura Parker, Luciano Pavarotti and Itzhak Perlman, as well as guest conductors Mario Bernardi, Alexander Brott, Boris Brott and Walter Susskind. Works commissioned and premiered by the ESO include Louis Applebaum’s Concertante, Violet Archer’s Sinfonia and Gary Kulesha’s Dreams. The ESO has received three Juno Award nominations and the Canadian Music Council’s Grande prix du disque. Notable annual events include Symphony Under the Sky and the Northern Alberta Concerto Competition for young artists. An Edmonton Orchestral Society of about 15 players existed as early as 1913, but the first organization to use the name Edmonton Symphony Orchestra made its debut, 52 players strong, at the Pantages Theatre on 15 November 1920 under the direction of A. Weaver Winston. After Winston’s departure that year, the orchestra was conducted by Henri Baron and Vernon Barford (1920–29), and then F. Holden Rushworth until the orchestra’s demise in 1932. During the 1940s, orchestral concerts were provided by the Edmonton Philharmonic Orchestra (founded in 1941 by Abe Fratkin and Ranald Shean), and the Edmonton Pops Orchestra, conducted from 1947 to about 1951 by Lee Hepner. 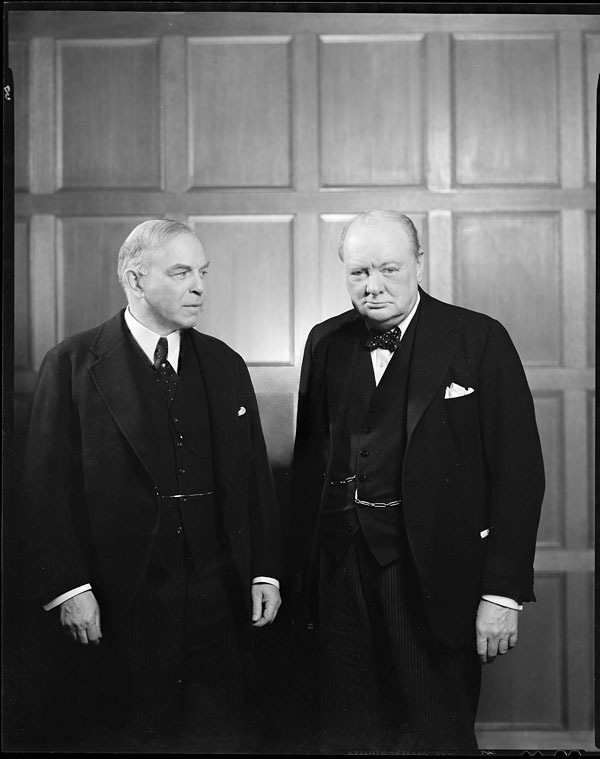 Edmonton Philharmonic conductors were Fratkin (1941–48) and Edgar Williams (1948–51). In 1952, members of these two orchestras amalgamated into a 60-member second Edmonton Symphony Orchestra (ESO). A moving force behind its creation was Mrs. Marion Mills, founding president of the Edmonton Symphony Society established in 1952. The reconstituted orchestra’s first concert was 30 November 1952 at the Capitol Theatre under Hepner, who remained as conductor until 1960. During the initial season the orchestra offered a subscription series and two children’s concerts. Soloists included Lois Marshall, Patricia Rolston, and Soulima Stravinsky. In 1957, the orchestra moved to the Northern Alberta Jubilee Auditorium, its home until 1997 and the opening of the Francis Winspear Centre for Music. The Francis Winspear Centre for Music is situated in the arts district in the heart of downtown Edmonton (photo by the Ellis Brothers). The ESO functions under a board of directors. Financial backing for the Edmonton Symphony Orchestra is provided by the Canada Council, the Alberta Foundation for the Arts, the Edmonton Arts Council, and private and corporate donors. After Hepner resigned, Thomas Rolston served as acting conductor for four years, succeeded in 1964 by Brian Priestman, the founder of Birmingham’s Opera da Camera and Orchestra da Camera, and the former music director of the Royal Shakespeare Theatre (1960–63). During his four years in Edmonton, Priestman introduced main series concerts and Little Symphony performances by groups drawn from the orchestra. In 1968, he helped instigate, with the assistance of the Alberta Cultural Development Branch, a National Performing Artists Competition. The winner of the only competition (1968) was Arthur Ozolins. Priestman was succeeded in 1968 by Lawrence Leonard, who at 16 played cello with the London Symphony Orchestra and later served as assistant conductor of the Hallé Orchestra (1963–68). Under Leonard’s leadership, the Edmonton Symphony Orchestra had developed by 1971 into a full-time ensemble and one of Canada’s major orchestras. It premiered two of Leonard’s compositions (an adaptation of Machaut’s Grande Messe de Notre Dame and Group Questions for Orchestra), in 1972 and 1973 respectively. Around 1973, it was decided to maintain the orchestra as a full-time classical-sized (45-player) ensemble. Over the next 30 years, the orchestra expanded to 56 full-time musicians, with additional players as repertoire demanded. Pierre Hétu succeeded Leonard in 1973, serving as artistic director and conductor until the end of the 1978–79 season, and as principal guest conductor from 1979 to 1980. Peter McCoppin, assistant conductor during the 1978–79 season, was named resident conductor in 1979. Uri Mayer was music director and principal conductor from 1980 to 1994. Grzegorz Nowak, who won the 1984 Ansermet Conducting Competition in Geneva and was named European musician of the year in 1985, succeeded Mayer and served from 1995 to 2002. Meanwhile, David Hoyt doubled as principal horn, resident conductor, initiator (1994) and artistic director of the outdoor festival Symphony Under the Sky. From 2002 to 2004, he was interim artistic director of the orchestra, a significant role during the search for a new music director. While the orchestra introduced audiences to a series of established and emerging guest conductors, principal guest conductors Franz-Paul Decker and Kazuyoshi Akiyama provided leadership and continuity. 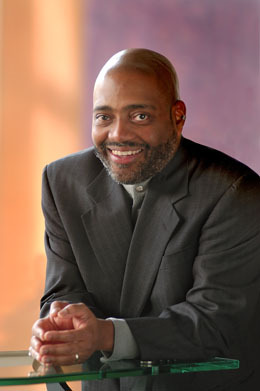 William Eddins, a graduate of the Eastman School of Music, became the orchestra’s music director in January 2005. He served for 12 years and was succeeded by 24-year-old Alex Prior, who took over for the 2017–18 season. William Eddins was named music director of the Edmonton Symphony Orchestra in 2005. He frequently guest conducts major orchestras around the world (photo by the Ellis Brothers, courtesy Edmonton Symphony Orchestra). During the 1975–76 season, the orchestra took part in a series of internationally syndicated TV programs with such pop stars as Charles Aznavour, Roberta Flack, Tom Jones, Henry Mancini, Anne Murray, Neil Sedaka and Paul Williams. Special concerts drawing sold-out houses have featured, among others, k.d. lang in 1985, and Tom Cochrane and Red Rider in 1989. This tradition of incorporating musicians from other genres continued into the 21st century. The orchestra has also had considerable coverage on CBC Radio and TV, and performed at Vancouver’s Expo 86. The Edmonton Symphony Orchestra has often toured Western Canada and the Far North, e.g., for Alberta’s 75th anniversary in 1980, and an ambitious Northern Lights tour in 1994. An acknowledged part of the city’s cultural landscape, the orchestra marked its 50th birthday in 2002 with several special performances. Then, on 6 June 2003, British organist Christopher Herrick helped celebrate Queen Elizabeth II’s Golden Jubilee. A festive concert on 9 October 2004 linked Edmonton’s centenary with that of orchestra patron Harriet Winspear. As well, the orchestra performed music by Alberta composers during Alberta Scene, April 2005, at the National Arts Centre in Ottawa. The Edmonton Symphony Orchestra frequently collaborates with the Richard Eaton Singers and other local choirs, and accompanies Edmonton Opera and Alberta Ballet performances. Many of its players also perform in smaller ensembles, such as The Millcreek Colliery Band, the Alberta Baroque Ensemble and, formerly, the Harlan Green Players. For the opening of the Winspear Centre in 1997, the Calgary Philharmonic joined the Edmonton Symphony for Mahler’s Eighth Symphony. 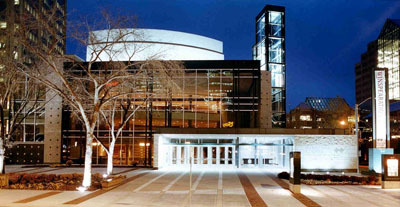 In November 2005, the National Arts Centre Orchestra (NACO) visited Edmonton and performed with the ESO. Featured among the 116 musicians were the NACO’s Jessica Linnebach and Amanda Forsyth, former Edmontonians. Each year the ESO aims to satisfy both mandate and audience, offering everything from the masters to country music, Sunday showcases introducing ESO musicians as soloists, symphonies for children and educational concerts. Each school year, approximately 25,000 students experience the Winspear Centre. With composers-in-residence as mentors, selected students have written orchestral works and heard them in performance. An extravaganza in June featuring particular composers, and the annual Symphony Under the Sky in September, bookend the orchestra’s season. Many prominent and emerging Canadian and international soloists have performed with the orchestra. Those in the 1980s included Victor Bouchard, Corey Cerovsek, Angela Cheng, Jane Coop, Janina Fialkowska, Judith Forst, John Hendrickson, Norbert Kraft, André Laplante, Joseph Rouleau and Alain Trudel. Subsequent soloists have included such luminaries as Kathleen Battle, Isabel Bayrakdarian, Rivka Golani, Ben Heppner, Angela Hewitt, Ofra Harnoy, Marilyn Horne, Nigel Kennedy, Anton Kuerti, Jens Lindemann, Yo-Yo Ma, Jon Kimura Parker, Luciano Pavarotti, Itzhak Perlman and Shauna Rolston. Guest conductors have included Kazuyoshi Akiyama, Mario Bernardi, Alexander Brott, Boris Brott, Gabriel Chmura, Charles Dutoit, Ruben Gurevich, Richard Hayman, Brian Jackson, Bob Lappin, Thomas Sanderling, Peter Schenck, Simon Streatfeild, Walter Susskind, and Yuval Zaliouk, who was interim chief conductor for the 1980–81 season. Since 1987, the orchestra has held the annual Northern Alberta Concerto Competition for young artists; winners have included the cellist Amanda Forsyth (1987), the pianist Jamie Parker (1988), and trumpet player Jens Lindemann (1990). Works commissioned and premiered by the orchestra include Louis Applebaum’s Concertante, Violet Archer’s Prelude-Incantation, Sinfonia, and Evocations for Two Pianos and Orchestra, George Fiala’s Overtura Buffa, Malcolm Forsyth’s Symphony No. 2 ...a host of nomads... (composed for the orchestra’s 25th anniversary), Gary Kulesha’s Dreams, Raymond Luedeke’s Tales of the Netsilik (commissioned jointly with five other Canadian orchestras), Rod McKuen’s Ballad of Distances, A Suite for Orchestra, François Morel’s Neumes d'espace et reliefs, Chan Ka Nin’s Memento Mori (1998), Manus Sasonkin’s Musica post prandia, and Robert Turner’s Shades of Autumn. Award-winning Canadian composer John Estacio was the ESO’s first composer-in-residence, from 1992 to 1999. He produced many new works both for the ESO and ensembles across the country. Among his ESO commissions were Frenergy (1998), Wondrous Light (1997) and A Farmer's Symphony (1994). Allan Gilliland, who followed Estacio, wrote several commissioned works for the orchestra, including a Violin Concerto for concertmaster Martin Riseley; Gaol's Ruadh Ròs: A Celtic Concerto for Two Harps and Orchestra; On the Shoulders of Giants, which won first prize at the Winnipeg Symphony Orchestra’s 2002 New Music Festival; and Dreaming of the Masters, a clarinet concerto premiered both in Edmonton and with the Boston Pops (2003) by James Campbell. Under Uri Mayer’s direction, the ESO made 10 recordings for the CBC. The first, Orchestral Suites of the British Isles, won the Canadian Music Council’s Grande prix du disque for best orchestral recording in 1985; the second, Great Verdi Arias, was nominated for a Juno Award in 1986. The orchestra also received Juno Award nominations in 2005 for Frenergy: Music of John Estacio with Mario Bernardi, and in 2013 for Logos Futura under Antonio Peruch. Edmonton Symphony OrchestraThe Edmonton Symphony Orchestra website features a concert calendar, musician profiles, audio samples, and much more.